"John and Mary adopt a cute cat named Mittens, but they later find out it has a hankering for human brains. The couple must succumb to the cat's insatiable hunger--or else. It's loosely based on a true story." Garin Pirnia was born and raised in the rock-and-roll city of Dayton, Ohio. She has written about arts and culture for Rolling Stone, Vanity Fair, Mental Floss, the Wall Street Journal, the Atlantic, Huffington Post, Eater, Cincinnati CityBeat, and many more publications. 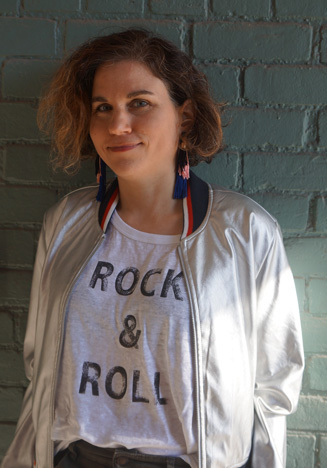 She is author of The Beer Cheese Book and Rebels and Underdogs: The Story of Ohio Rock and Roll. Garin blames her twisted sensibilities on growing up watching “family films” like The Dark Crystal, Indiana Jones and the Temple of Doom, and Gremlins. As far as she knows, Anthony Michael Hall is doing just fine. Be prepared for the discussion by reading The Finicky Cat now!